In this recipe, mackerels are combined with the sharpness of lime to delight us. The know-how to remove the mackerels' bone is developed over years in order to be able to do so without damaging the flesh. 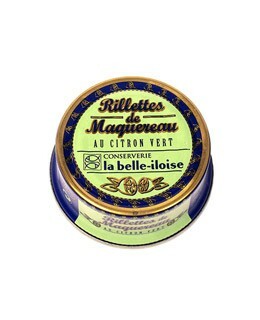 Thus, the mackerel is not filleted, which prevents the flesh from drying during the cooking, and keeps the visual and gustatory qualities of the mackerel rillettes but without the bone. 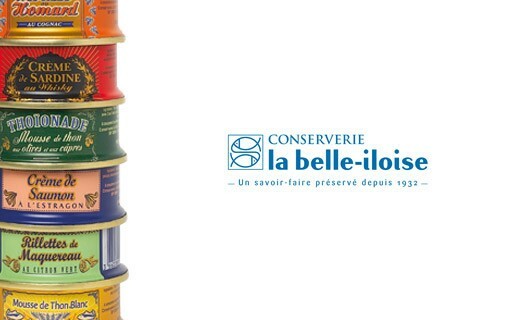 Mackerel (60%), pork fat (24.2%), white wine (sulphite), onions, tomato concentrate, salt, lime juice (1%), spices, aromatic herbs. 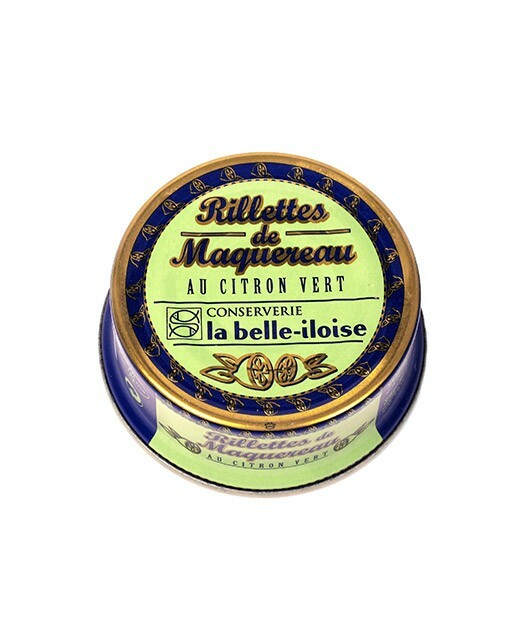 La Belle Iloise mackerel and lime rillettes are best served chilled, like a good white wine!